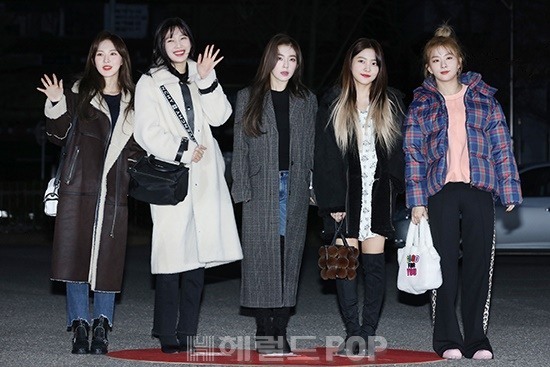 Red Velvet kicked off the day full of smiles and fashion flair. 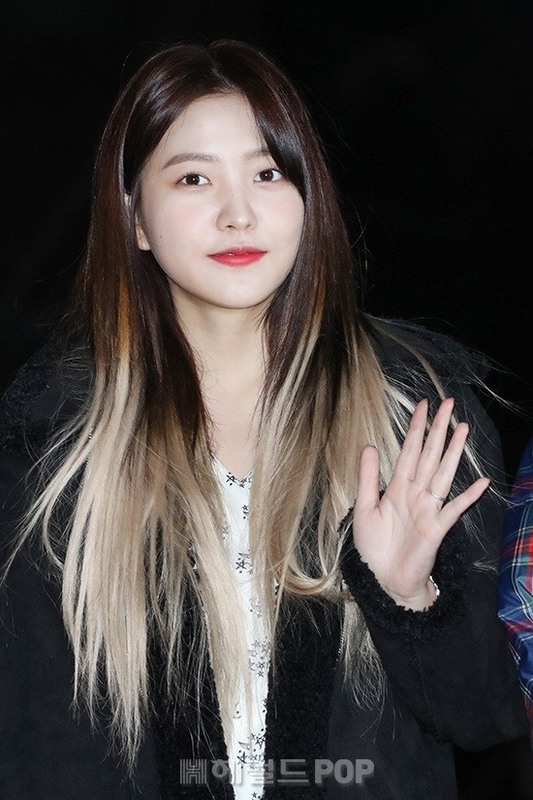 The five bandmates were spotted in the wee hours of Friday on their way to a rehearsal for “Music Bank” in Seoul. The morning sky was still dark and the morning temperatures in Seoul plunged to minus 10 degrees Celsius, but the singers still appeared upbeat. 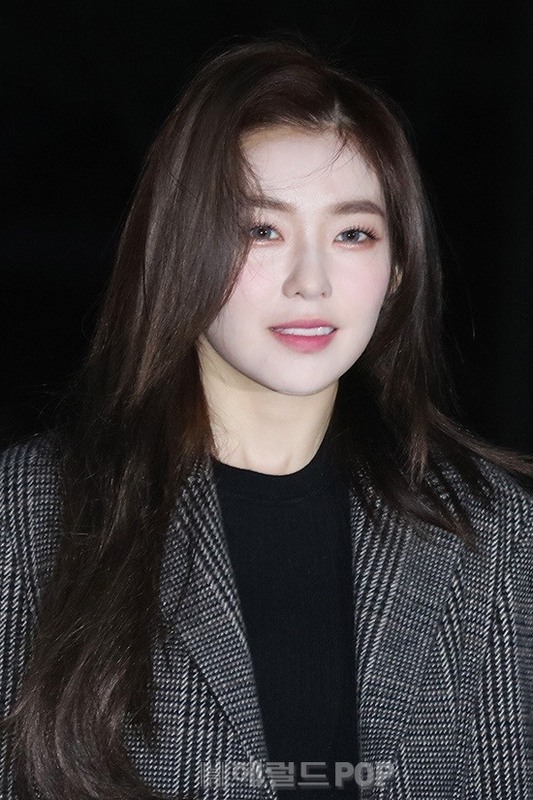 Irene was wrapped up in a long elegant grey coat in checked fabric. She also paired a black shirt with jeans and matching knee-high boots. 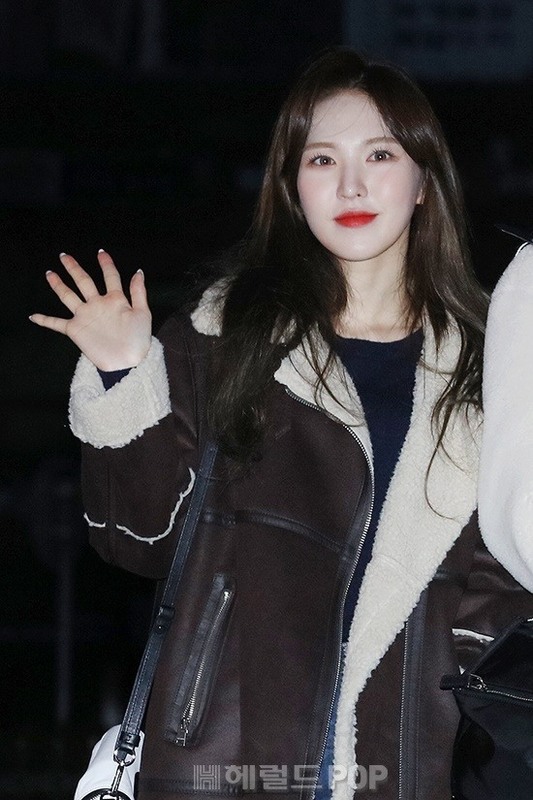 Flashing a bright smile, Joy appeared in a wintery-white look, sporting a white-collared long coat and red lipstick which dramatically stood out against her pale skin. 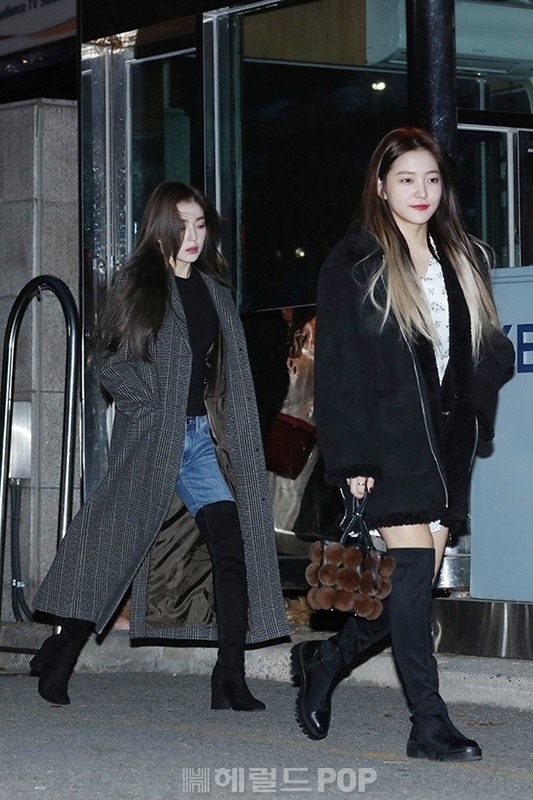 Wendy got cozy in a long leather faux shearling coat that fell below her knees, while Yeri was flawlessly decked out in a star-patterned white mini-dress, a fuzzy black coat and long black boots. She also accessorized with a cute furry bag that matched her stylish ombre dip-dyed hair. 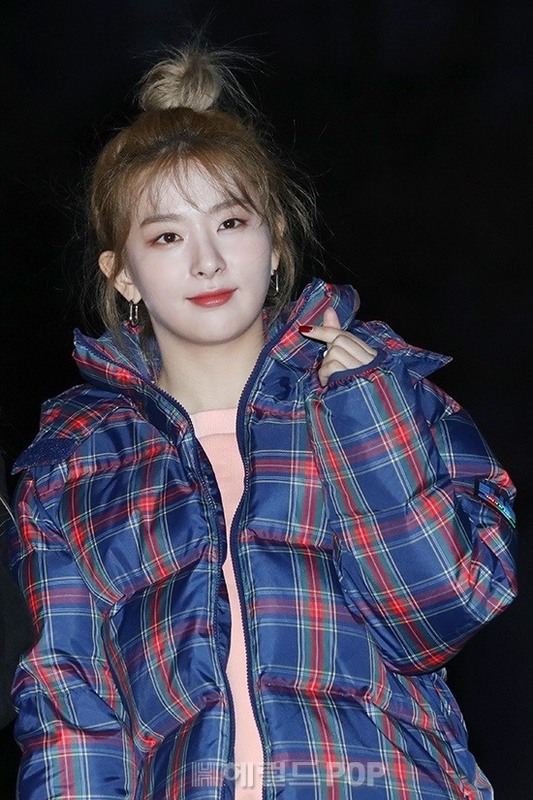 Seulgi, per usual, cut the most casual figure in the group, sporting a short puffer jacket with red and blue checked patterns. Adding a sporty touch, she wore a pink sweat shirt and black sweat pants. She also wore a messy topknot, one of the hottest hair trends among female celebrities. Red Velvet dropped its new album, “RBB,” standing for “Really Bad Boy,” at the end of November.